This chalet is located in La Béchigne. The chalet is located about 1.1 kilometers from the center of the village. In winter you can use a free ski bus. The chalet consists of three floors and has a balcony on the south-west. 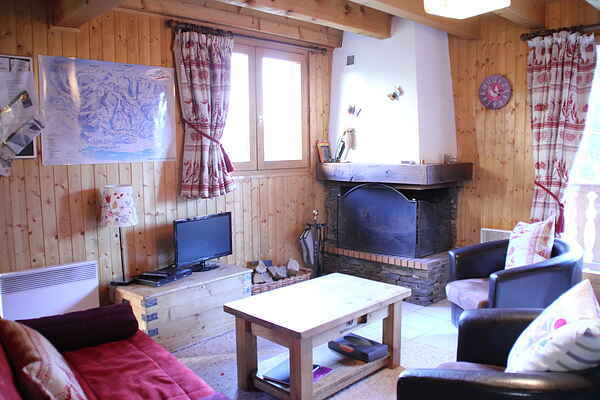 In winter you have direct access to one of the largest ski resorts, "Les Portes du Soleil". The ski area has 650km of pistes and invites you to make beautiful day trips. In general, the snow conditions are fine, despite the not too high altitude of this area. In summer you can make here kilometer hiking or mountain biking and swimming or fishing at Lake Vonnes. Taste the gastronomic traditions of the region, such as the famous cheese of Abondance. For more mundane life, you can make a trip to Evian-Les-Bains (25 km) and Montreux (37 km). After the holidays this region for you has no more secrets.